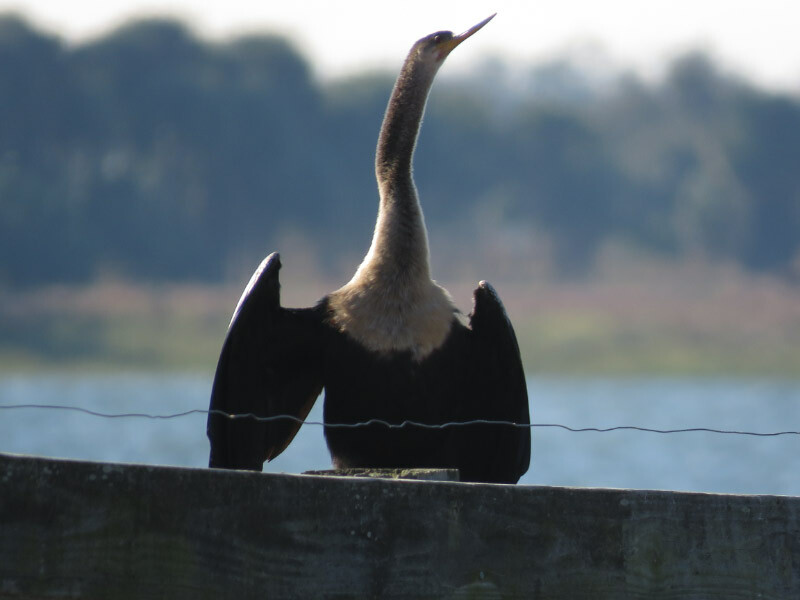 Continuing the third day of the Space Coast Birding and Wildlife Festival…today’s post is still based in the Three Lakes Wildlife Management Area…observing birds around the lakes rather than woodpeckers. On bird that was new-to-me was the Limpkin. 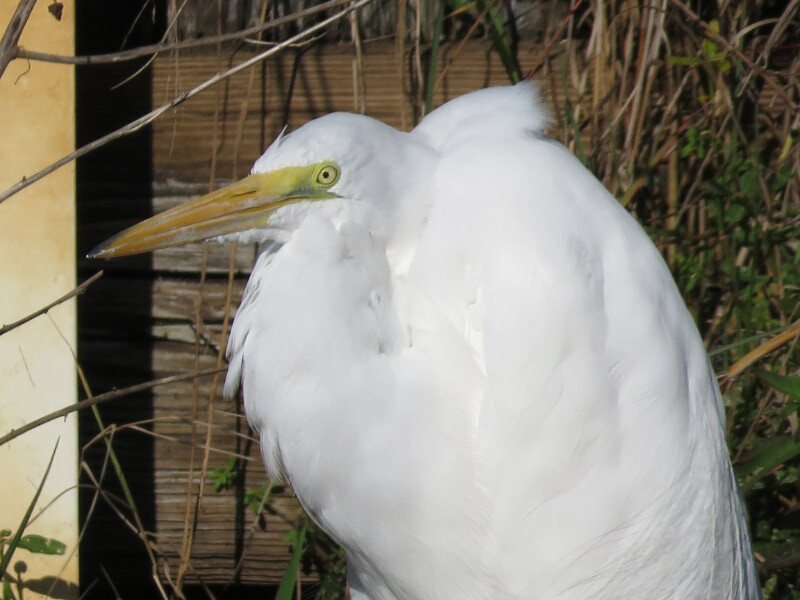 It’s a crane relative and lives in the Americas. 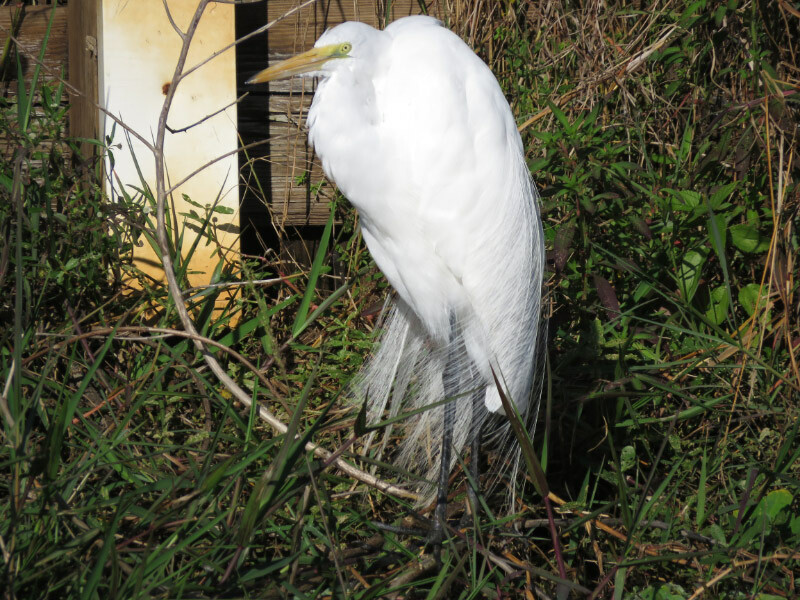 Their diet is mollusks – dominated by apple snails. Here’s a sequence of one walking. Another bird that I had not seen before and that also eats apple snails is the Snail Kite. 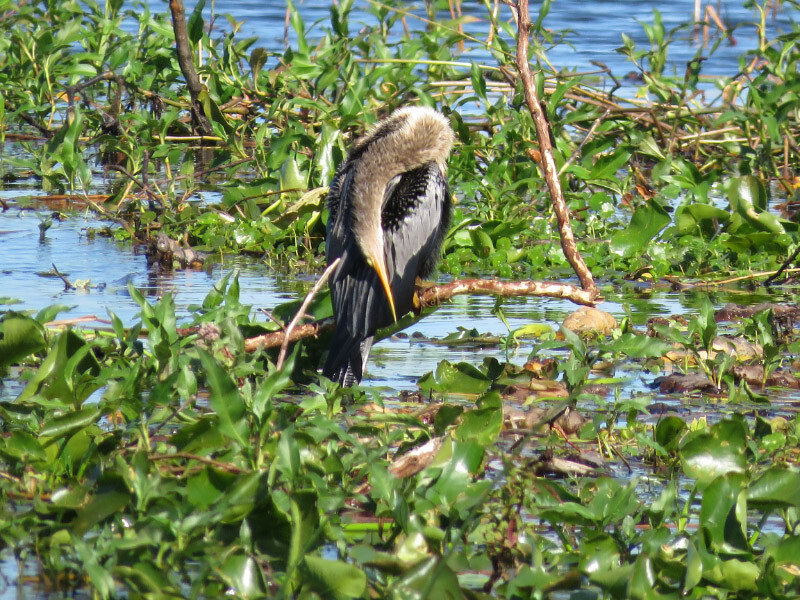 I was hunting on the same lake as the limpkin and it found a snail – took the snail to a post in the water to eat. There were empty snail shells in the water so both birds were probably getting enough to eat. Most of the shells were the larger apple snail which is invasive to Florida but both birds can apparently eat them as easily as they do the native species. 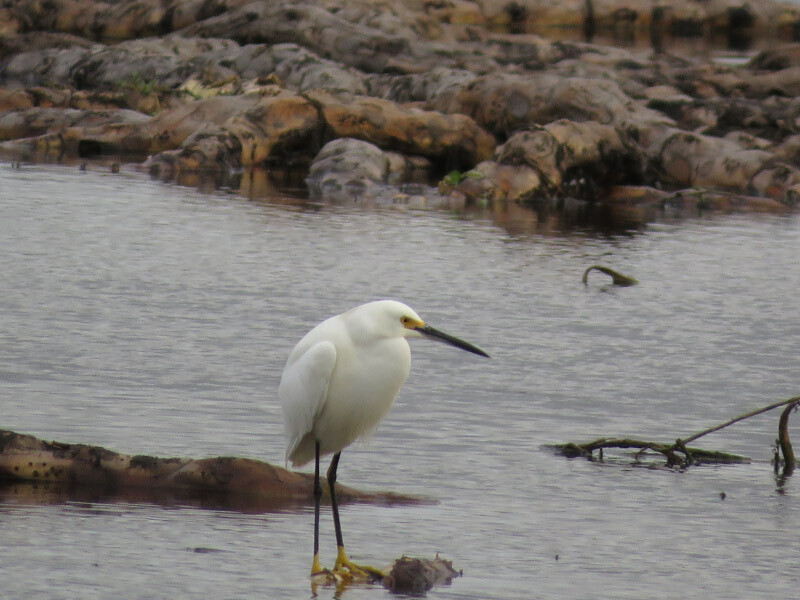 And a Great Egret which was the largest of the three. 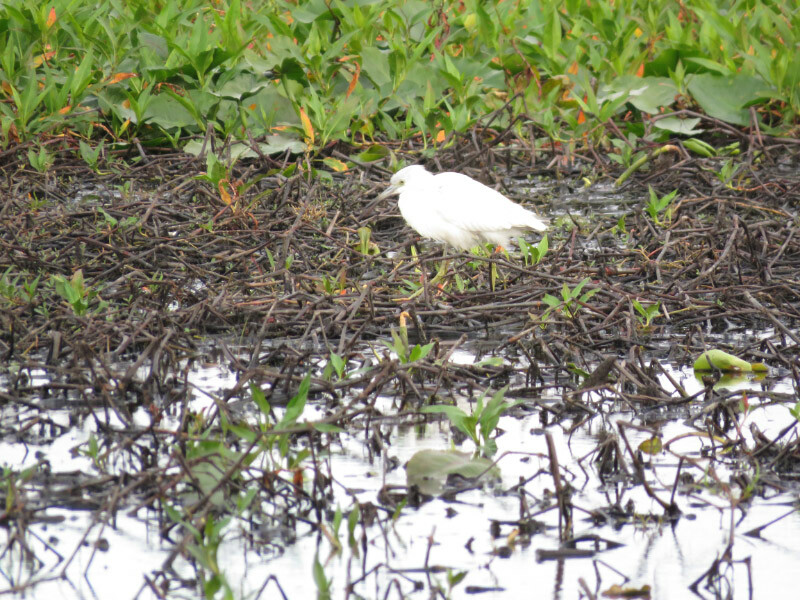 There was a Great Egret in a tree near where we had a picnic lunch. Evidently he gets fed nearby and is named Pete. A Great Blue Heron in the tall grass. Nearby there was a Sandhill Crane barely visible in the grass and its mate standing nearby. I took a picture of the one that was standing. Evidently sandhill cranes seen as pairs in Florida are resident; they don’t migrate. There are cranes that come for the winter but don’t breed in Florida and they generally stay in larger groups. 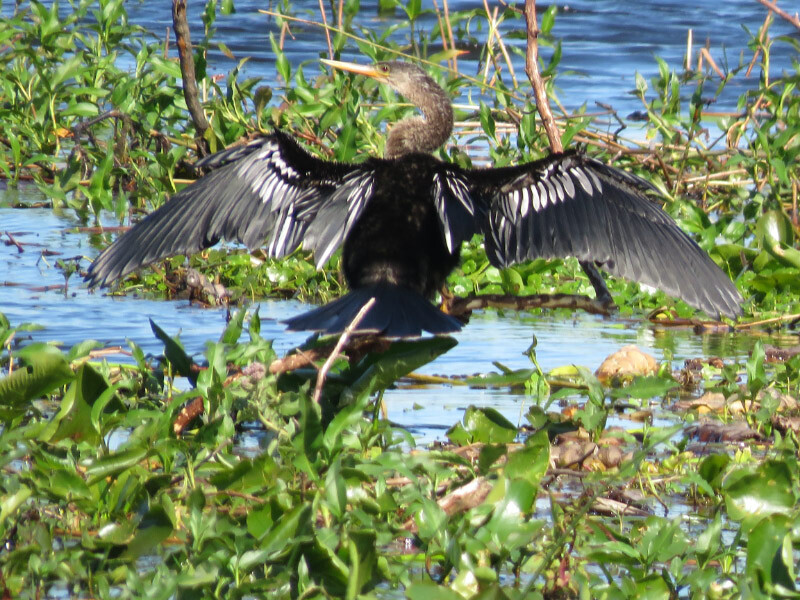 There were Anhinga around sunning themselves or preening. They are easier to photograph out of the water. 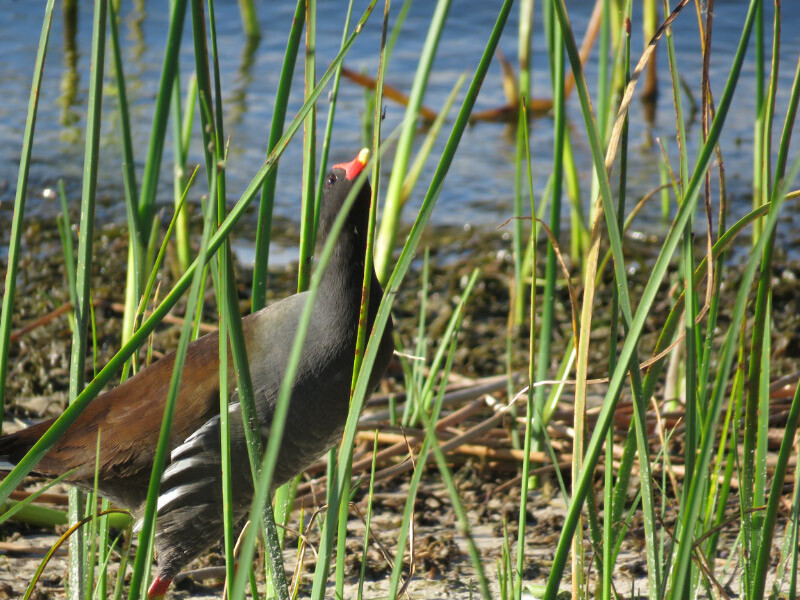 The Common Gallinule has very large feet. To make it easier for them to walk on vegetation in the water. 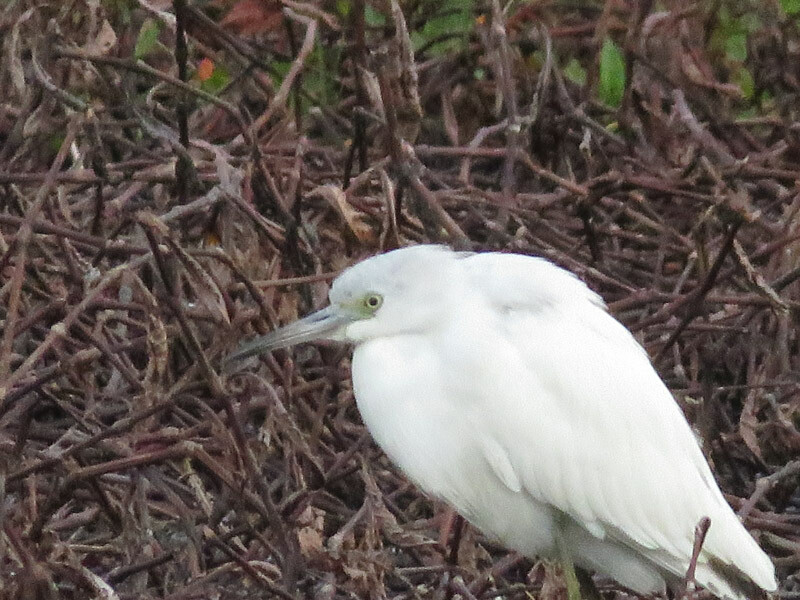 There were a lot of insects that the bird was finding on the grasses near the water. 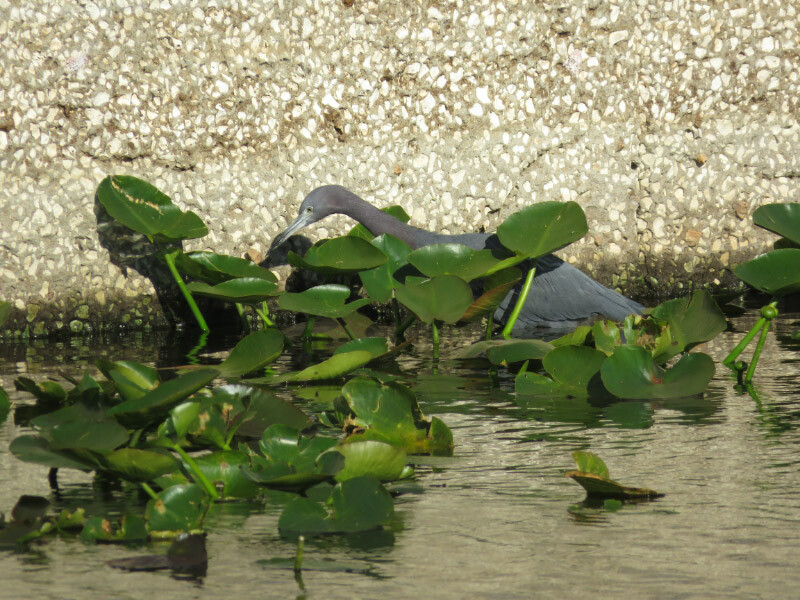 A near relative – the Purple Gallinule – was doing the same thing. There was a juvenile nearby. I liked the way the light changes the colors of the bird. It was like the color of peacocks and morpho butterflies…changing color with every slight variation in light. They too have big feet. I saw a Pied-billed Grebe just as it turned away…got one picture. A Glossy Ibis was also enjoying the lakeshore…finding food. It was a good day for water birds. There were even more (white pelicans, some ducks) but they were too far out on the lakes to get reasonable pictures. 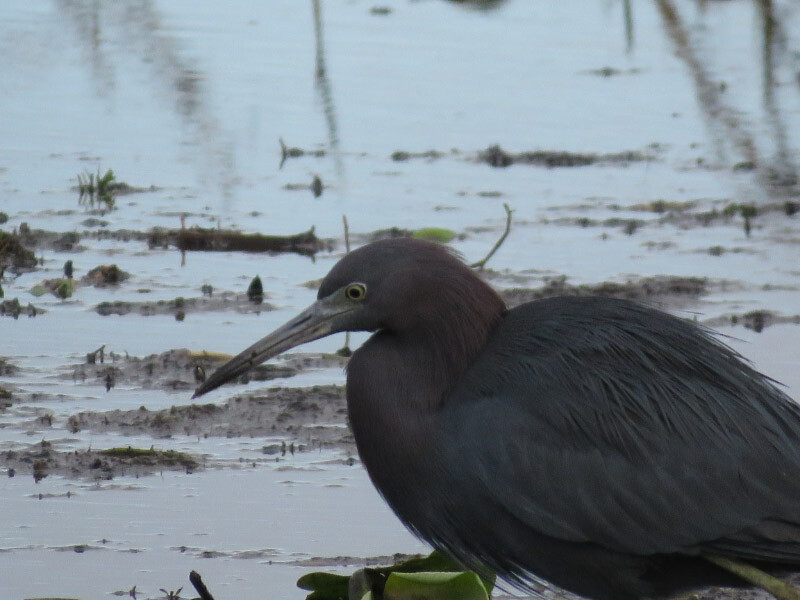 I was pleased to see three new-to-me birds: snail kite, limpkin, and purple gallinule.